This is a great little vacuum cleaner, esp for a small home! Honestly super impressed because its cordless so convenient and also picks up more dust and dirt than some dyson's I've had! I really needed a vacuum that wouldn't be ripped out of the wall by my not so graceful dog and this is perfect!!! Not only is it light weight, but it has much more power than I thought it would. I am very pleased with the fast shipping and my overall purchase of this item!!! This has to be the worst vacuum Hover has ever made. I absolutely doe not pick up anything. But I guess you get what you pay for. I can’t even give it a 1 star. I wish I would have read more reviews before purchasing this sweeper. If you want clean floors this is not the sweeper for you. This is a GREAT cordless vacuum. My daughter asked me to buy one for her busy life and the product was so great I had to buy a second one for myself. Easy to use, great suction, and light weight! Great vacuum. Good price, highly recommend. Does whatever a large full size vacuum can do. This is light and easy to use. Love it. Did not like the vacuum. It's too stiff and hard to work with. lightweight and the suction is better than expected. I have limited need for a vacuum, so this really fits the bill. Great at picking up dog hair! 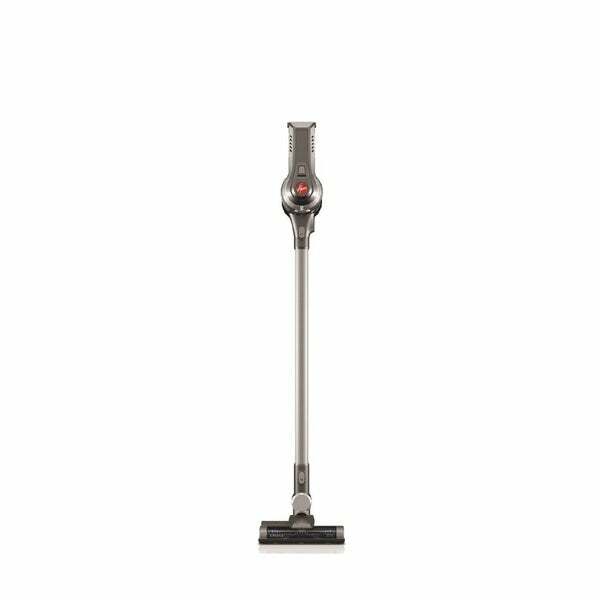 I love this vacuum, it’s easy to use instead of using by Dyson vacuum. "Can you buy ex. Battery "
Primarily due to past experience with Hoover vacuums which has been very good. shopping with Overstock made the purchasing very easy..
"Does it have an on/off switch for the carpet versus hardwood floor?" No, the vacuum should go from hardwood to carpet without adjustments. "How long does it run on a charge?" "What is the model #?"